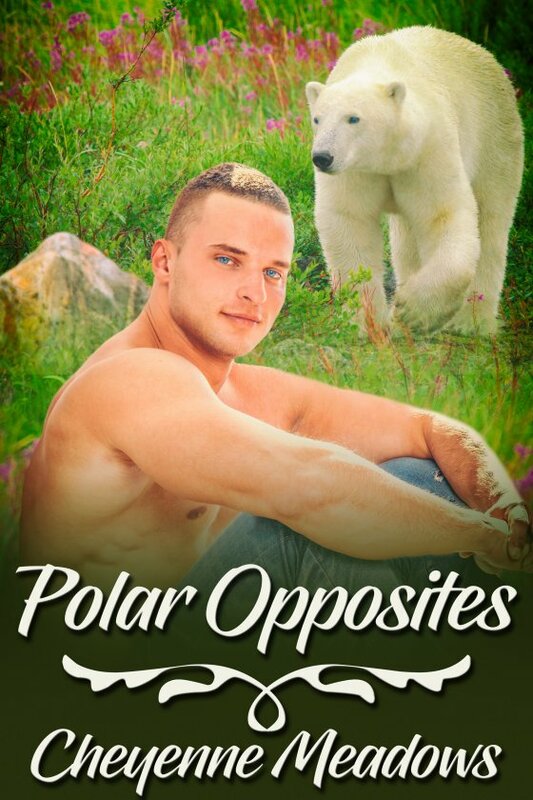 Polar Opposites by Cheyenne Meadows is now available! Donovan is the new guy in town, a polar shifter, harboring a big secret. He’s a big city bear who moved to the tiny town of Forgotten, Wyoming, in hopes of finding peace. What he finds is poison ivy and angry wasps. TJ, a grizzly shifter, is the local doctor with a past. He’s found a home in the country, but lacks happiness and a sense of belonging. The fact that he’s in the midst of his natural mating season doesn’t help in the least. The moment Donovan enters TJ’s clinic, sparks fly. TJ is determined to resist the temptation that is Donovan, but his inner bear and Donovan have other ideas. When a hunter starts going after shifters and a blast from Donovan’s past show up for revenge, things get hot. But not as hot as the attraction between Donovan and TJ. If they can pull together and survive, they just might discover that, while they might be polar opposites, sometimes opposites do attract.